if you live in chicago, you know the west loop food scene has just exploded. i mean, the west loop in general is just bananas now. i used to work in the area & when i started out, it was a dead zone on the weekends. now, randolph is just packed with people every night & pretty much all weekend. i love it. 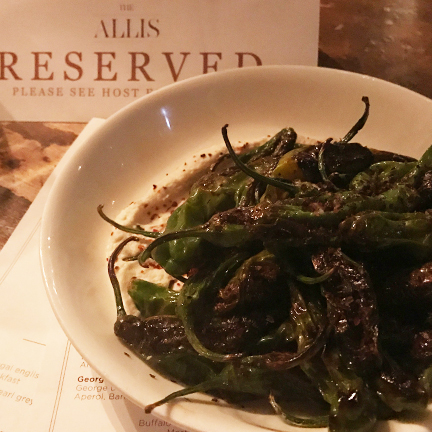 anyway, one of the cool places to eat over there happens to be on the first floor of chicago's soho house ... that would be the allis. from what i recall, the allis has been there since soho's inception. but it recently (i think?!) expanded & pizza east is no longer there. anyway ... here are the actual deets : "the allis is named after the family that commissioned the historic building in 1907. a relaxed & welcoming social space for meetings, a quick bite, an after-work drink or late night cocktails, the allis is a lounge & bar with an expansive art collection & views of green street from floor-to-ceiling windows." mmm, lovely. i've been to the allis twice recently. first, for a girls lunch post-bridesmaid dress shopping. second, for din & cocktails when we had some pals in from out of town. 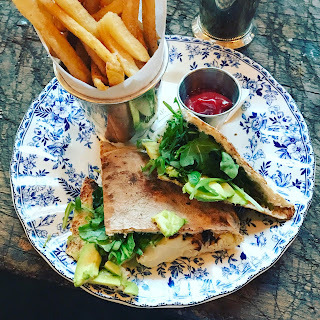 avocado in a pita pocket. this was the lunch meal i had. (note the incredible lighting & instagram filter.) considering the simplicity of this sandwich, it was the bomb... & i don't even like cauliflower that much. served with some sort of hummus! okay, enter nighttime lighting & fear of using my flash in a trendy place. obviously i ordered the shishitos. obviously they were amazing. obviously i ate the entire place. as a side note, i wouldn't really think that shishitos + hummus would be a good combo, but it was delicious! grilled artichokes, crudite, beet dip, avocado hummus & seeded crackers. i was feeling like i needed a lighter meal this evening, so here's where we ended up. 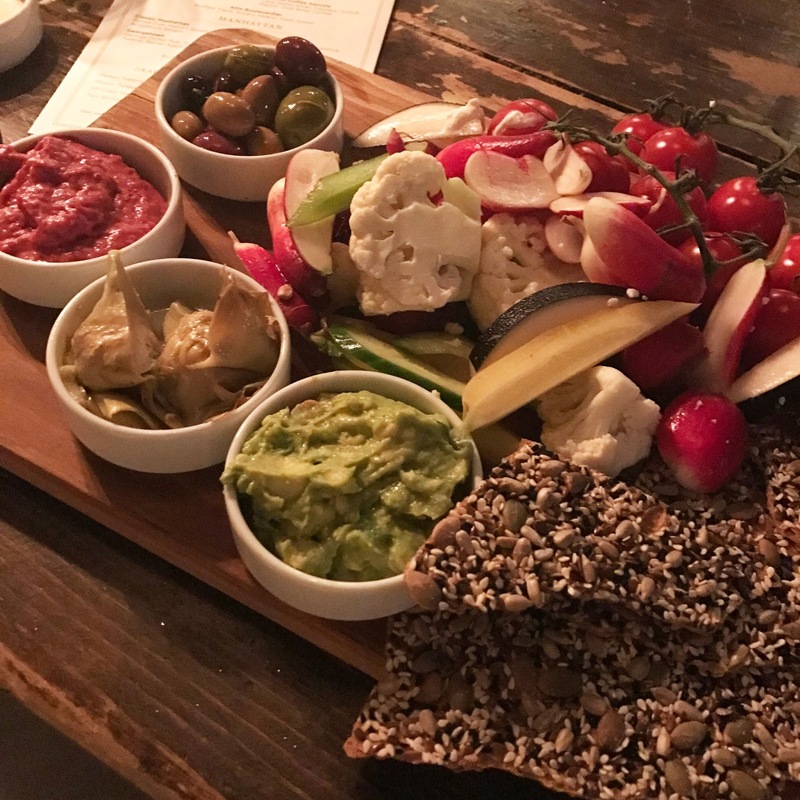 a cornucopia of delicious vegan things to dip & eat. i mean, look at all those fresh veg! everything was awesome. only thing i didn't love was the avocado hummus, which just tasted like avocado. i wanted more of that hummus that came with the peppahs! the allis is super fun. love it for a group or special occasion... i'll definitely be back soon! This sounds amazing, I'll have to check it out next time I'm in Chicago! scottsdale, az : the herb box.